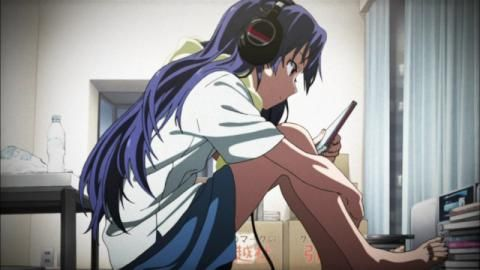 Another dense slice of anime, on a week when many Americans are also consuming dense slices of pie (Apologies, by the way, for the late review – holiday logistics and inclement weather set me back a few days). 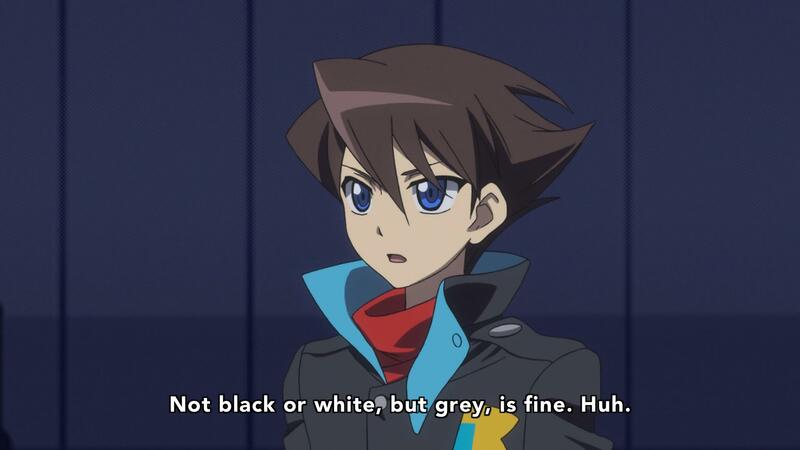 This episode continues the show’s trend of raising as many questions as it answers, on top of having the episode proper open on five people having two simultaneous conversations. The episode sets up and wraps up the question of “What’s the deal with the BL-clan (or at least its leader) and Gigander 7?”, but does so by calling into question what really happened to the Rainbow Knight, who encountered Jiro personally during his fight with Giganto Gon back in Shinka 34. 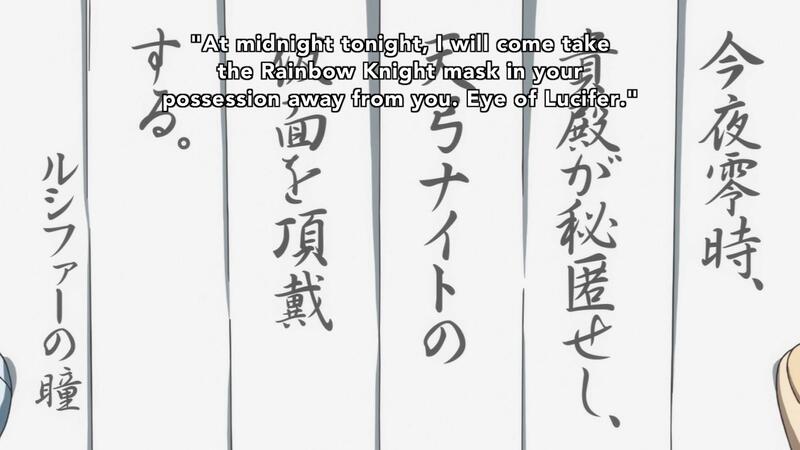 Four years after that, the Rainbow Knight abducted several superhuman children, ostensibly to protect them. From what, exactly, is left unsaid, but I believe the implication is that it’s from government manipulation. Guided by Emi’s youkai subjects, Jiro arrived in time to see the Rainbow Knight die under mysterious circumstances, and the official story became that the latter demanded ransom money for the kids. Conspiracy? Given the levels of conspiracy we know to be happening in the present, it’s a safe bet. But orchestrated by whom? And what prompted the abductions in the first place? And what, exactly, killed him? This is the kind of detail I worry about being lost in the show’s torrent of happenings. The show seems content for now to ruminate on the nature of morality (which does seem to be the general theme), but this episode seems even less focused than last one. 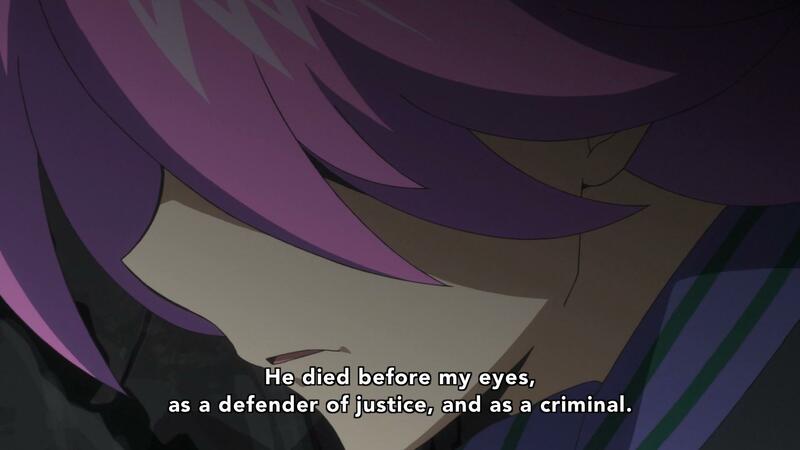 Jiro gives a brief speech about moral ambiguity, but it’s based largely on his understanding of the Rainbow Knight as, well, a defender of justice and as a criminal. The Rainbow Knight may have been a vigilante who identified as an “ally of justice” rather than a direct dispenser of it, but that comes off as simple humility without seeing him do anything definitively evil. 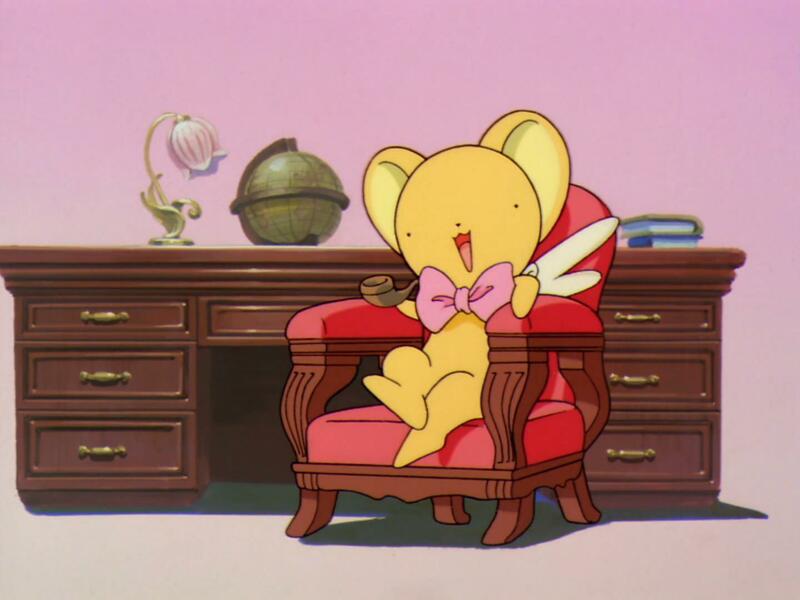 While kidnapping isn’t usually a first line of defense, if the Rainbow Knight was up against people willing to defame and kill him to release the kids (and assumedly to further their fascist agenda), I feel like it’s implied to the audience that he still had the moral high ground, which kind of makes Jiro’s speech fall flat. talking about that I’m not sure I can take this revelation seriously. That’s not what you say in the future. My cautious optimism is a little more cautious, but there’s still time for everything to come together. Hear me baby? Hold together.